Edward was assigned to Charlie Troop on July 18, 1966 and was Killed in Action on March 6, 1967. Edward was an IIB Infantryman. 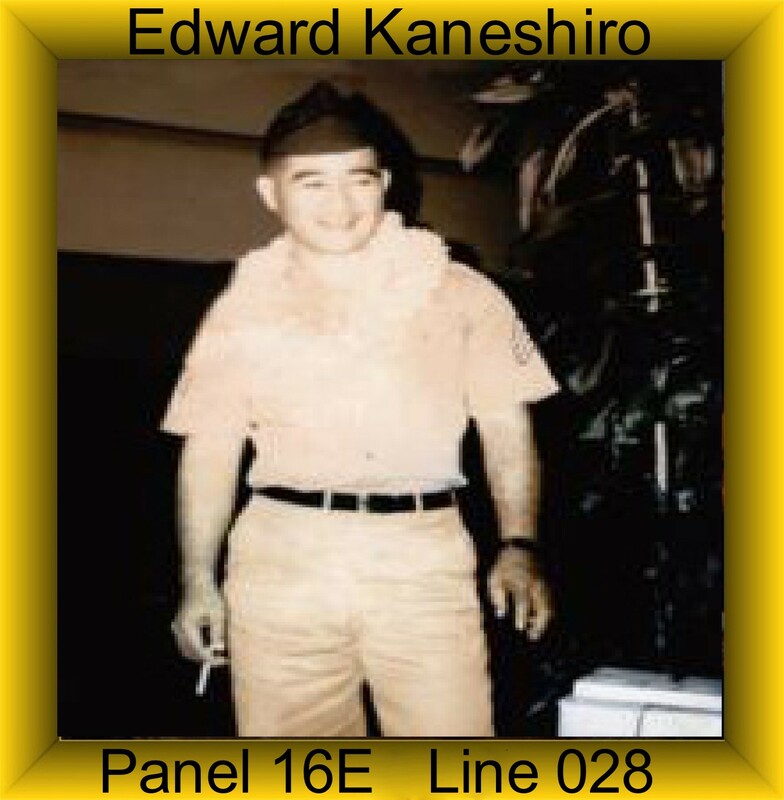 Edward was awarded the Distinguished Service Cross (DSC), the Combat Infantryman’s Badge (CIB), the National Defense Service Medal, the Vietnam Campaign Medal and the Vietnam Service Medal. Citation: The President of the United States takes pride in presenting the Distinguished Service Cross (Posthumously) to Edward Noboru Kaneshiro (RA10113707), Staff Sergeant, U.S. Army, for extraordinary heroism in connection with military operations involving conflict with an armed hostile force in the Republic of Vietnam, while serving with Troop C, 1st Squadron, 9th Cavalry Regiment, 1st Cavalry Division.